Why does Coldplay get such a bad rap? It’s an odd phenomenon. I’ve heard a lot of “old” Coldplay fans say that current albums have become loud, mainstream messes, and thus they have been turned off by the band. You see, I actually see it differently. I think Coldplay is a perfect example of a band that can bend mainstream music to fit their own brand of piano-infused spacious rock. I think they have found a way to be mainstream relevant (duets with Jay Z and Rhianna, for example), and still extraordinarily talented. 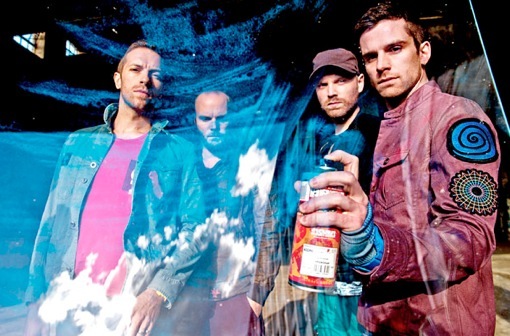 Since 1996, Coldplay has been creating infectious pop/rock tunes, and they have gained a growing following that mixes young and old listeners. Their music is enjoyable and marketable. We should be commending them, not censuring them. I will be making the traffic-fueled trip from Long Island to New Jersey tonight to see Coldplay on night one of their two-day sojourn at the Izod center. I have peeked at the set-lists of recent performances, and they perform a mix of material from their new album Mylo Xyloto and some staples like “Fix You,” “The Scientist,” and “Clocks.” I wonder if they might change it up a little bit since they are performing two nights. As long as they play my favorite Coldplay song, “The Scientist,” I will be happy. Here is the cover by Boyce Avenue. Enjoy.